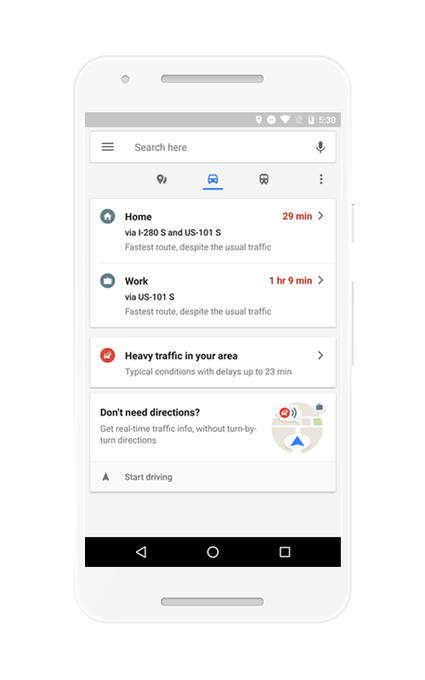 Google Maps is getting an upgrade aimed at putting the information you need most often within easier reach in the app’s interface. Using the new interface is simple and with a swipe up from the home screen, you’ll now be able to view things like the current traffic conditions – and how that impacts your ETAs to home and work – as well as transit schedules, places to eat or drink, nearby ATMs, pharmacies, and more. The goal, explains Google via a blog post announcing the news, is to provide “helpful everyday info” in real-time, based on your current location. After swiping up on the home screen, you’ll see three new tabs for places, traffic, and transit, indicated by small icons. On the first tab, Google will present its own curated selection of restaurants and bars, organised under various categories like “best dinners,” “cheap eats,” “business dining” and other categories. 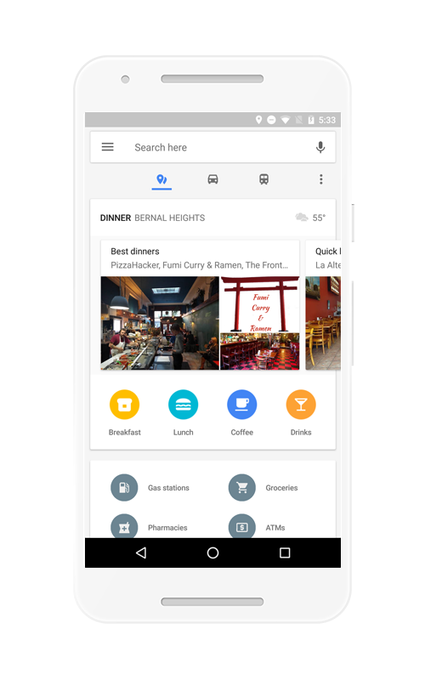 Google has been developing these lists of restaurants recommendations for over a year, originally launching its restaurant suggestions in major metros like New York, San Francisco, and London back in fall 2015. They then appeared in a special “Explore” section within Google Maps. These recommendations later expanded to all markets, and now the feature has been relocated to be more easily accessible right from the Google Maps home screen. In addition to places to eat, this section will direct you to a selection of common daily destinations like ATM, drug stores, grocery stores, gas stations, and other shops. You’ll also be able to view the businesses’ images and read a short description of the neighbourhood in question, says Google. 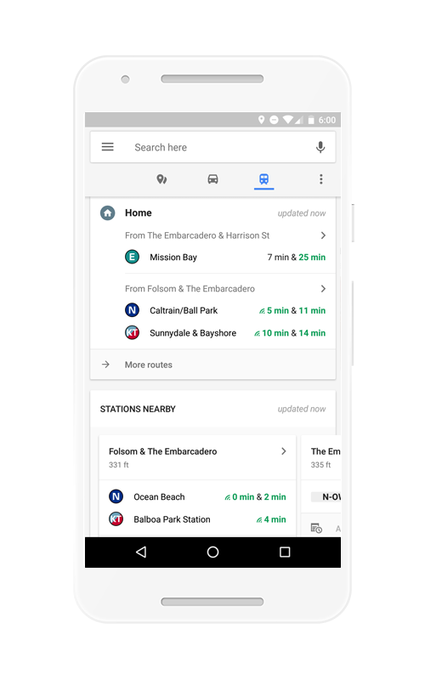 Google says the updated Google Maps is rolling out to Android, starting on the 6th of February 2017, and didn’t comment on iOS availability. Typically, however, Android features make their way to iOS after a few weeks or months, given the company’s desire for parity between the two applications. What do you think of the new Google maps interface? Is it better or worse than the previous design? Let us know in the comments section below.